Eclectic Living is hosting another event in honor of Retro Month. Local upholsterer, Pam Rollins, will be working in our store this Saturday, January 21st at 10am. She will bring the pieces of our Dunbar Sofa ready to go – upholstered in a grey Knoll fabric – and will begin re-building our MCM sofa as we open our doors. We can hardly wait to see the interior of a Dunbar and watch the process of bringing this sofa back to life! Stop in anytime Saturday to see varying stages of the transformation. 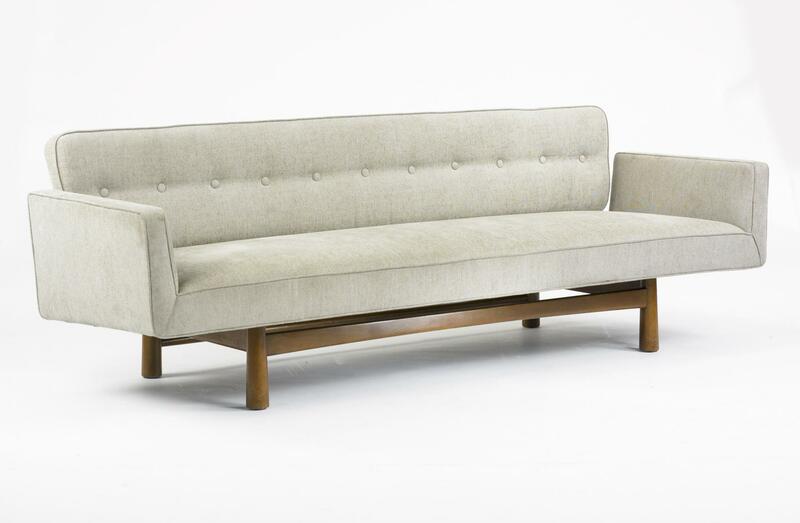 This particular sofa (model 5316) was designed by Edward Wormley for Dunbar in 1953.